hat became the Lyric Theatre was built in 1912. Mr. R. F. Goodlett canvased the area seeking financial backers and within a week had secured enough funds to begin construction. The Comos, as the building was originally named, was designed as a vaudeville theater and included space for several commercial offices. Because its sturdy brick walls made the Lyric one of the few buildings to escape the fury of the 1936 tornado unscathed, the building was pressed into melancholy duty as a make-shift temporary mortuary in the aftermath of that tragedy. Tupelo has a long history of support for the performing arts. Even before the Comos was built, while still a raw, bustling railroad town, Tupelo boasted of having an opera house with the largest stage in the State of Mississippi. Built by Captain John Triplett in 1887, with a seating capacity of 800, that first opera house closed just after the turn of the century, leaving as a legacy a fine appreciation of live theatre and a number of gorgeous scenery flats which were eventually stored in what became the Lyric. These were re-discovered in 1985, and have since been used in several TCT productions. The Lyric remained a home for live productions until the 1930's, when it became a part of the M.A. Lightman Company (Malco) chain of movie houses. It was at that time that the Theatre acquired its now-familiar marquee and Art Deco appearance. Even after its conversion, the Lyric often featured live performances and community events on its stage. In fact, TCT Board member Edith Ruff Thomas was crowned Miss Tupelo on the stage of the Lyric! Among the many other legends associated with the old theatre is the persistent rumor that Elvis’ first kiss was stolen in the balcony of the Lyric. There are very few long-time area residents who cannot relate a fond story or two of this community landmark. By 1984, the Lyric had outlived its usefulness as a movie theater and was facing likely abandonment and demolition. When TCT snatched the Lyric away from the wrecker’s ball in the fall of 1984, much needed to be done to turn the old building back into a home for live theatre. With gifts and pledges that eventually totaled over $230,000, the Theatre’s friends rebuilt the stage, installed new theatrical lighting and sound systems, totally rewired the building, installed a new heating and air conditioning system, and, most visibly, spectacularly restored the lobby. In 1990, an additional $200,000 was raised to build the North Annex, which includes set-building space, dressing rooms, and the McAlister Rehearsal Hall. The North Annex opened in the Spring of 1993. 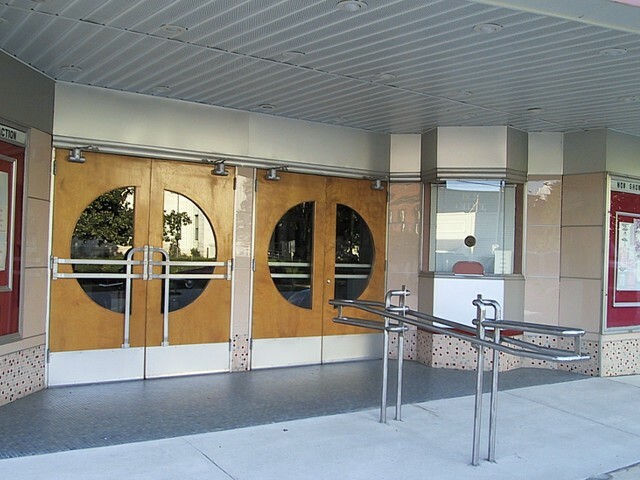 Most recently, we've been able to upgrade the restrooms and entrance, making them handicap accessible, and have renovated the proscenium and installed new speakers. This latest work was made possible through a grant from the Mississippi Arts Commission and a generous grant from the E. R. Carpenter Foundation. Counting other, smaller projects over the years, TCT’s friends and supporters have contributed more than $2,000,000 to the restoration and renovation. In 2006, with community support, TCT replaced its original fly loft system with a modern counter weighed system at a cost of $500,000. During 2011 TCT completed the renovation of its marquee and front of the Lyric and in the summer of 2013 all seating in the balcony was replaced to provide Tupelo and North Mississippi the finest amateur theatrical venue in the Mid-South.